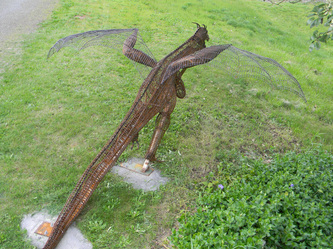 For ages, the dragon has appeared in myths and legends all over the world. 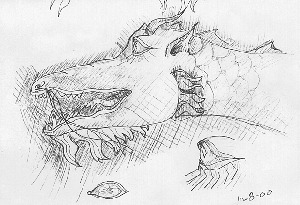 It has been depicted as both evil and good: the menacing Smaug slain in J.R.R. Tolkien's The Hobbit or as a symbol of good luck in Chinese and Japanese cultures. 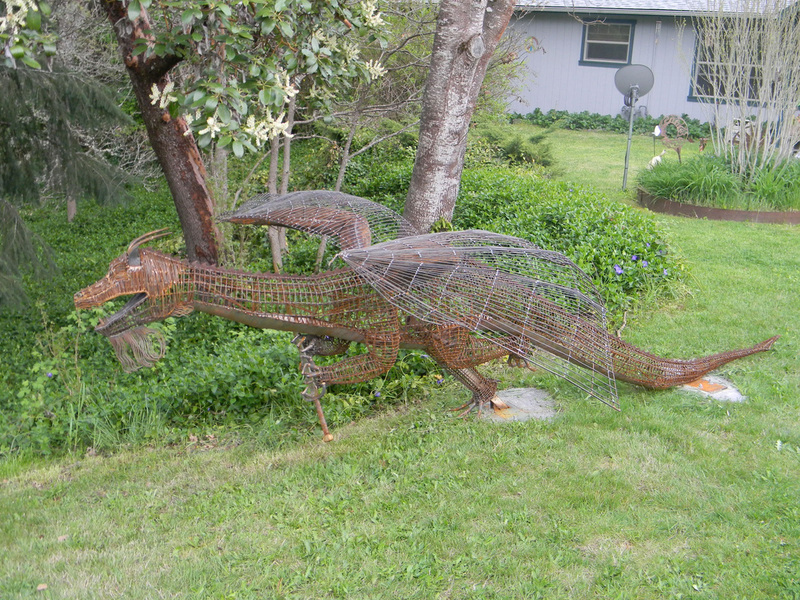 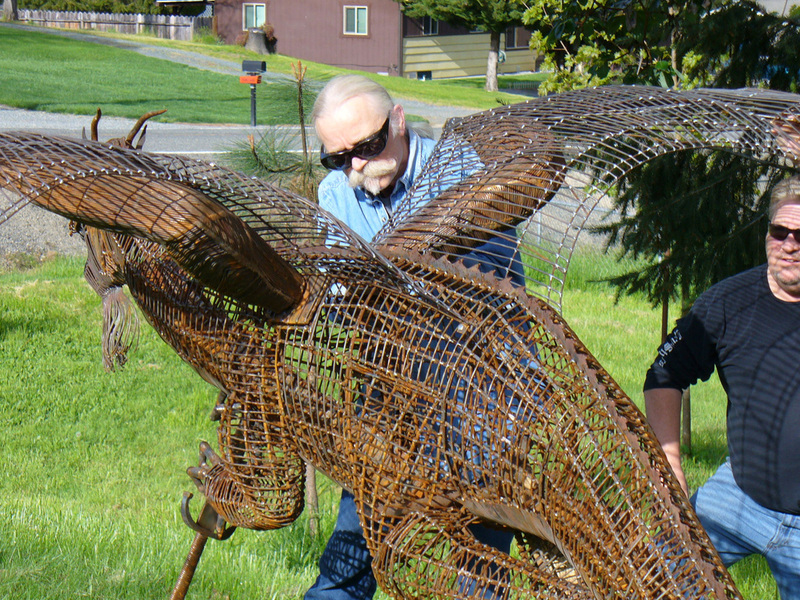 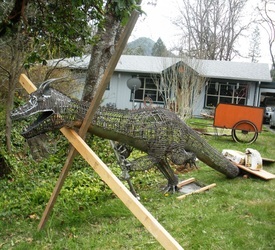 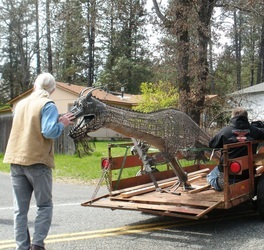 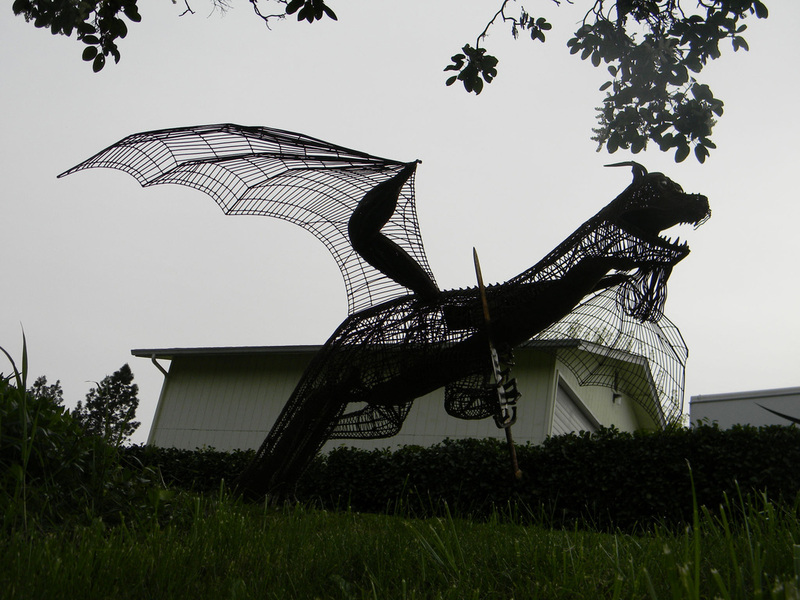 The idea for Bloodletter began as a joke - what would it be like to have a huge dragon perched in the front yard? 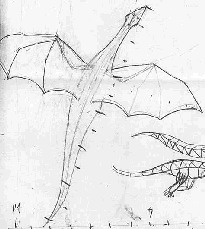 Over the years the joke persisted until, in 2000, Mark put pencil to paper and began to sketch his dragon. 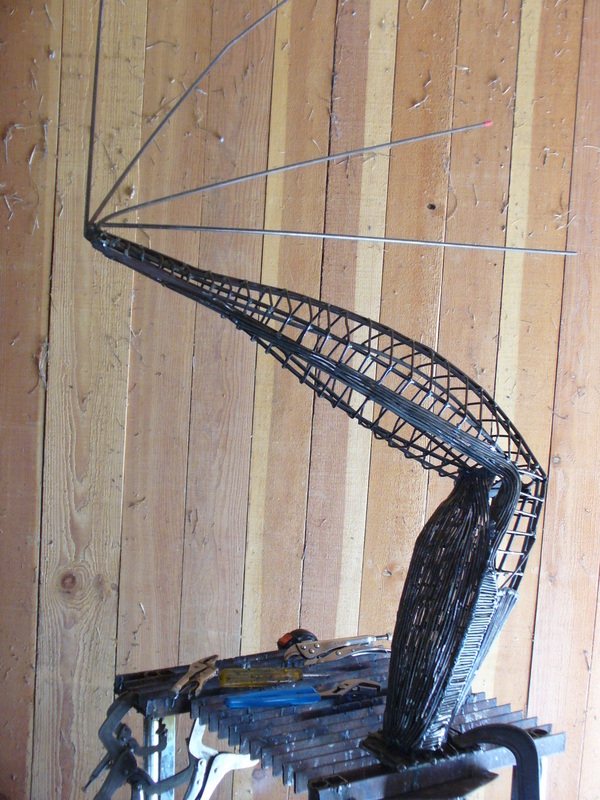 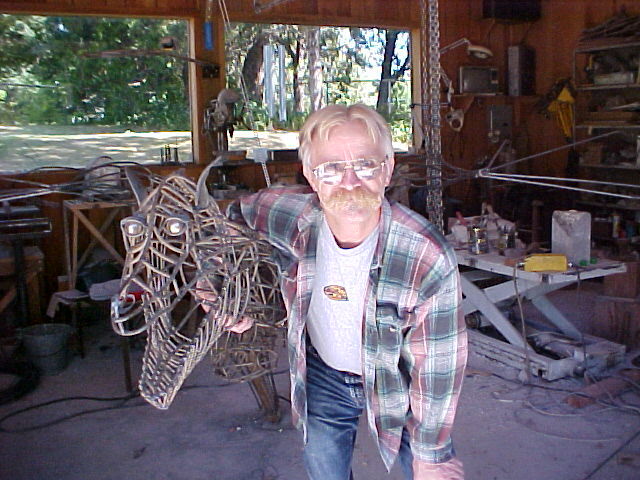 For a while, the sculpture didn't even have a name. 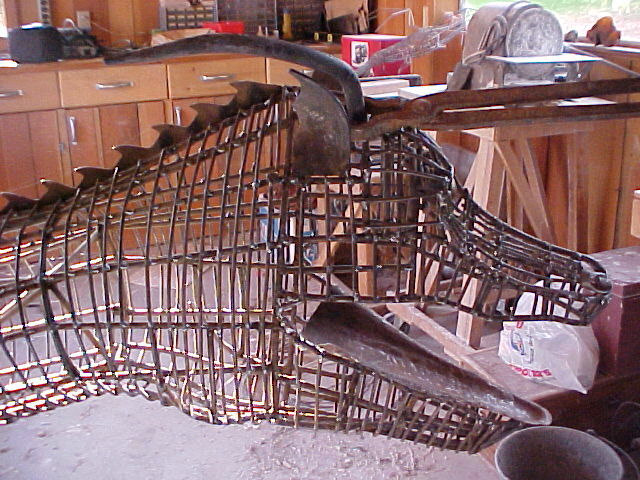 However, after he had inflicted a few gouges on Mark it became clear what he should be called. 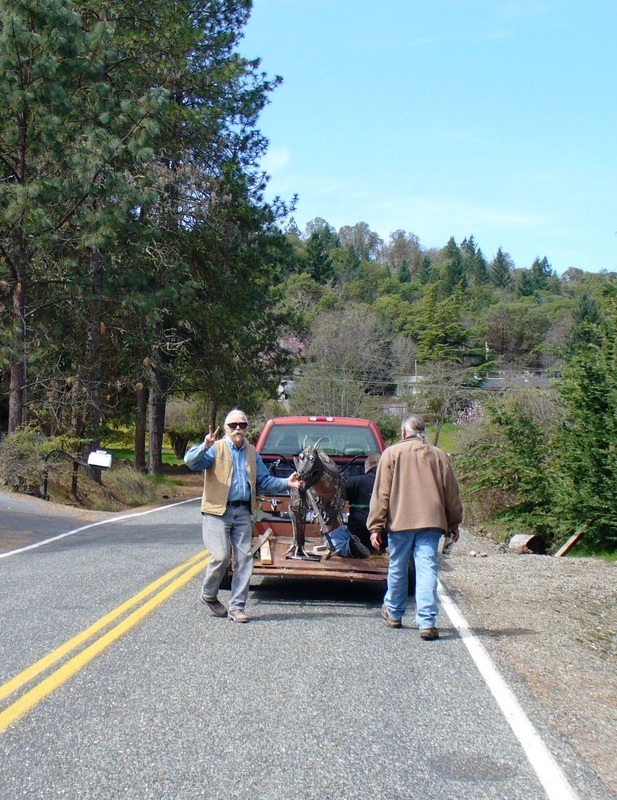 He came together slowly: Mark was working full time, he and Susan were running the moustache wax business (come see more at Oregon Wild Hair Moustache Wax), and other projects sometimes intervened. Bloodletter weighs about 300 pounds, is 15 feet long and is constructed of mild steel in the forms of round stock, wire, ball bearings, a band saw blade, and sheet metal. 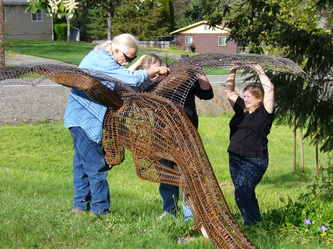 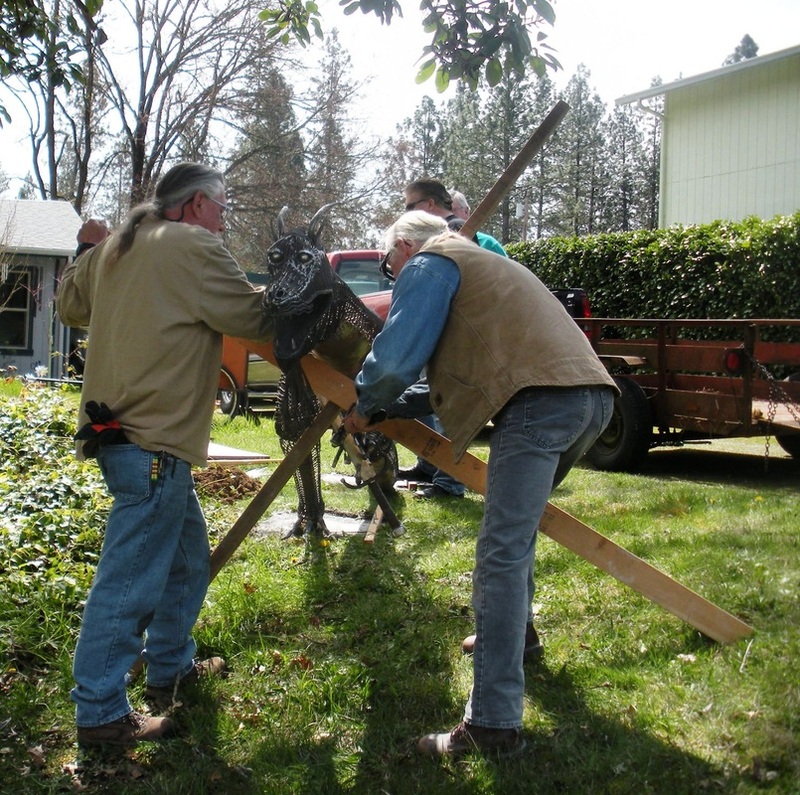 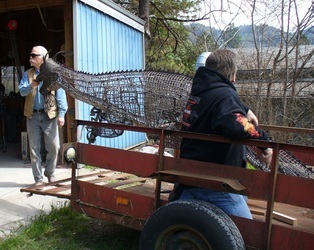 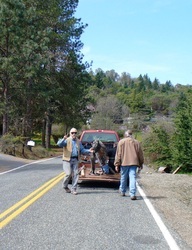 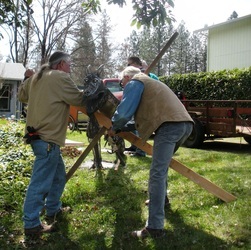 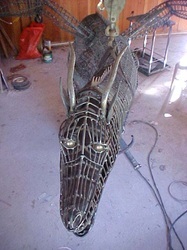 April 2012: Bloodletter is complete and placed in his new home! April - September 2009: Mark purchased a plasma cutter, which allowed him to cut out the bands for Bloodletter's stomach. 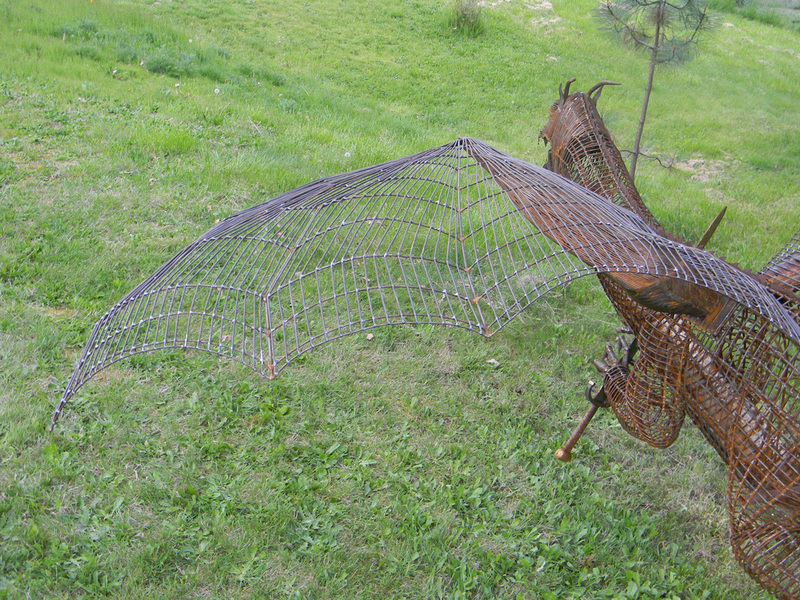 Bloodletter's front “arms" gained musculature so the wings could be firmly attached and his vulnerable belly was covered with armor. 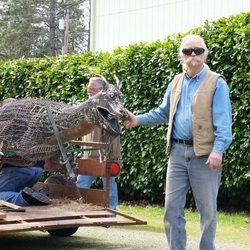 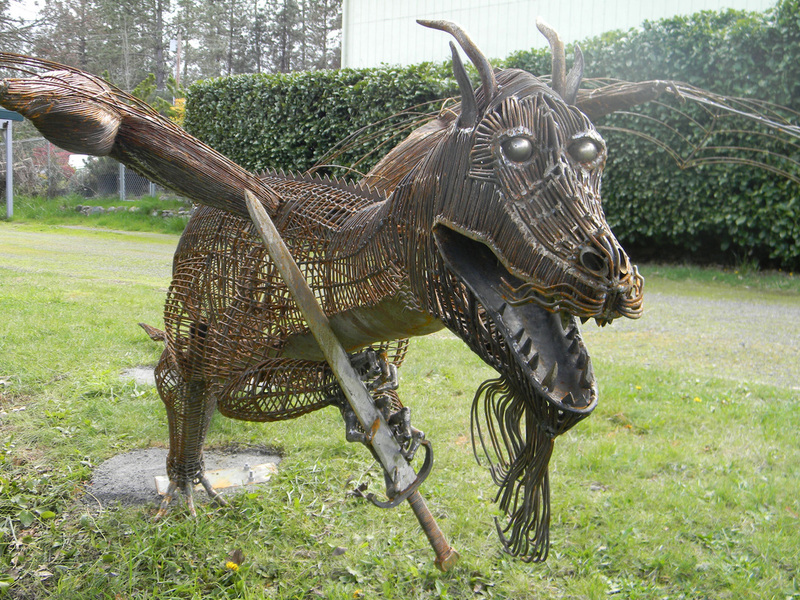 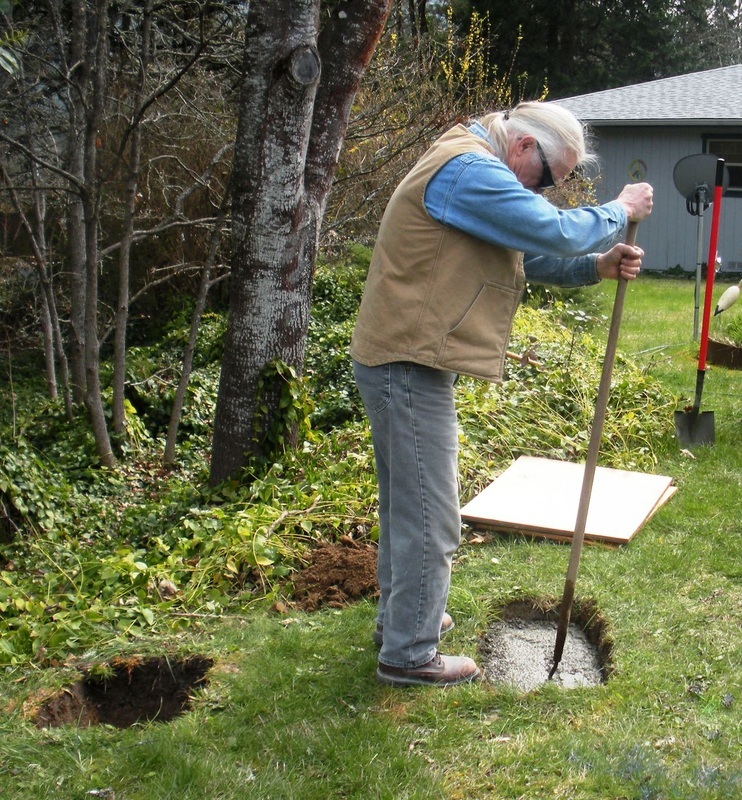 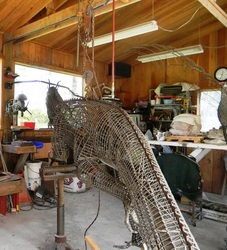 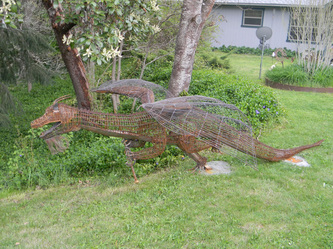 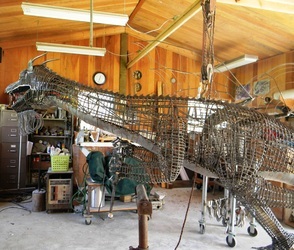 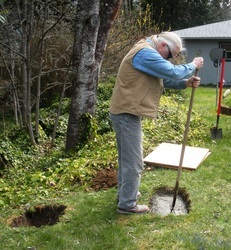 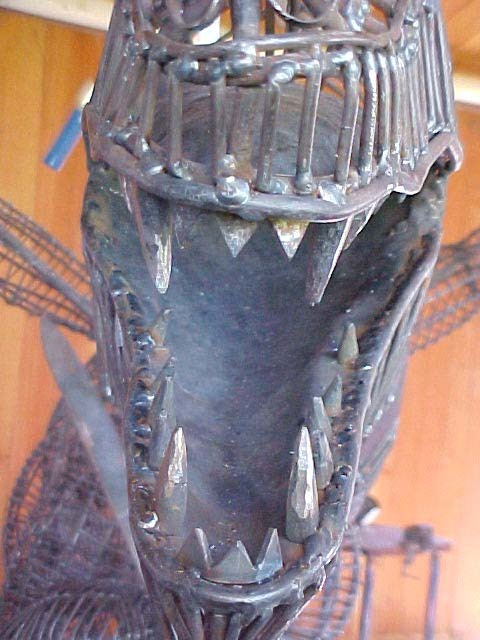 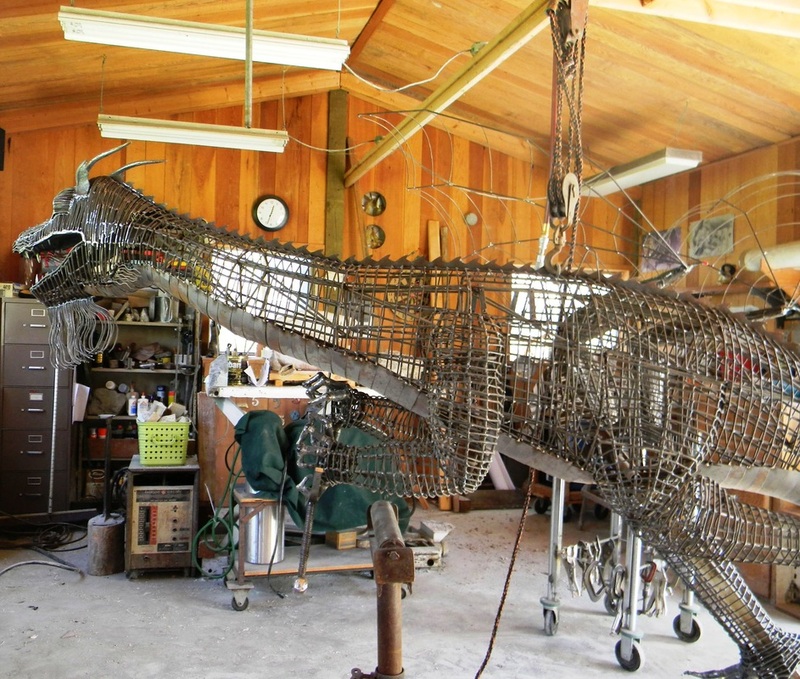 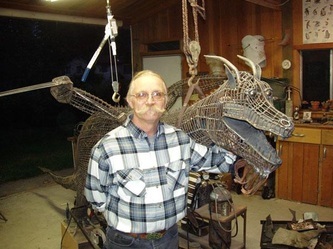 February 2003 - June 2005: Mark finished constructing his back yard forge, dubbed “Sputnik" because of its resemblance to the famed Russian space capsule, which allowed him to forge toes and claws for the dragon's feet. 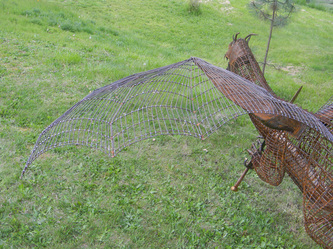 “Bloodletter" received his name after his sharp wings gave Mark a few scrapes in the course of his creation, his beard began to to take shape, and his framework grew more dense. 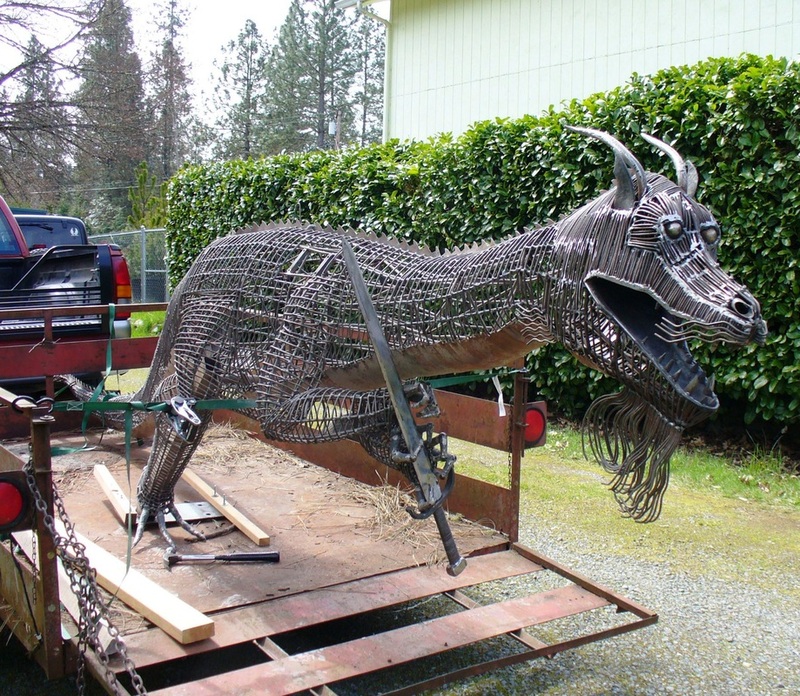 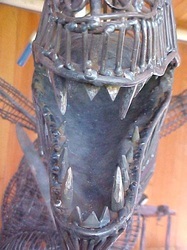 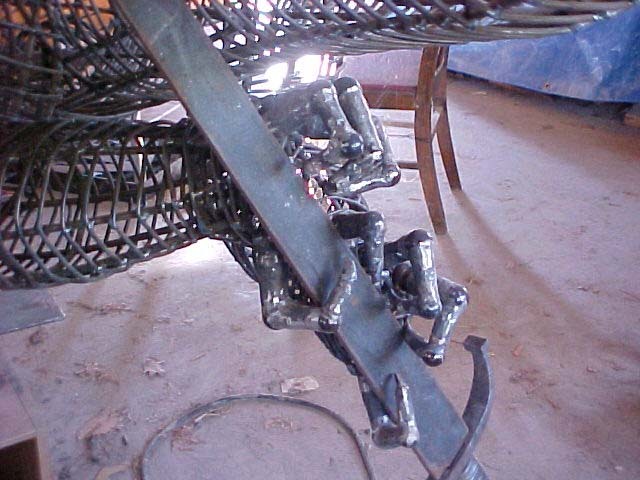 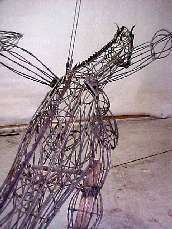 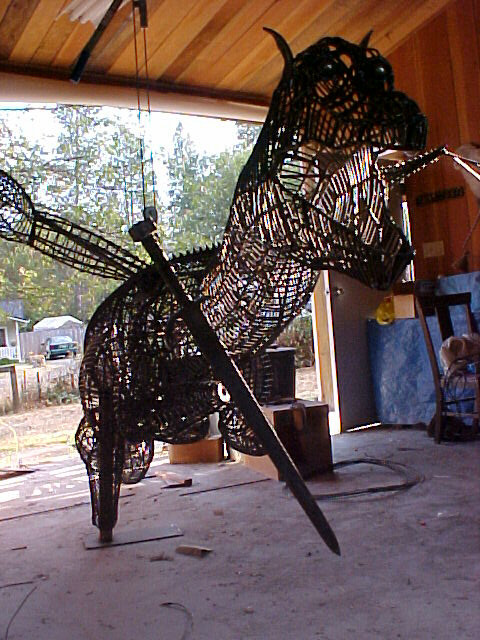 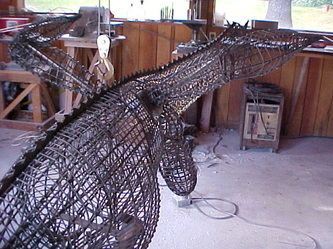 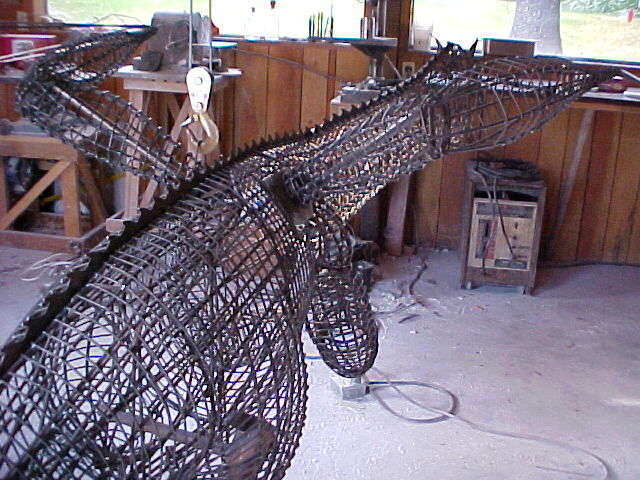 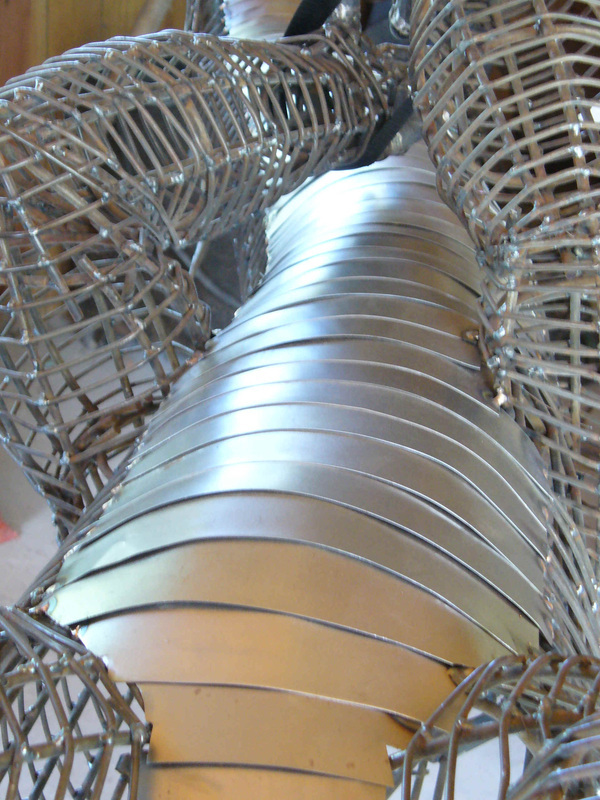 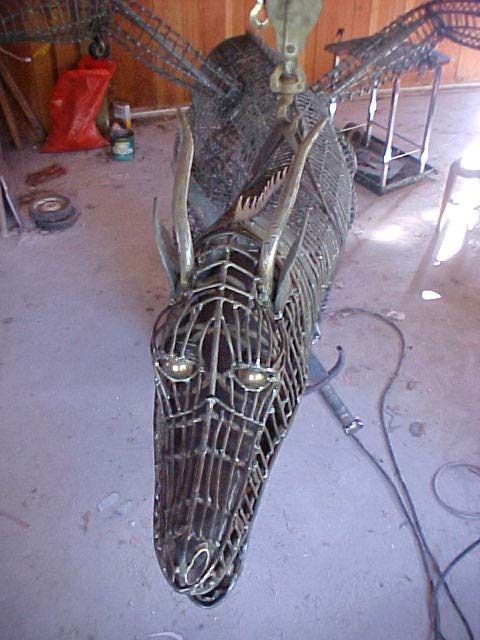 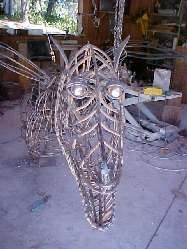 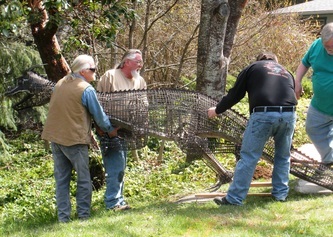 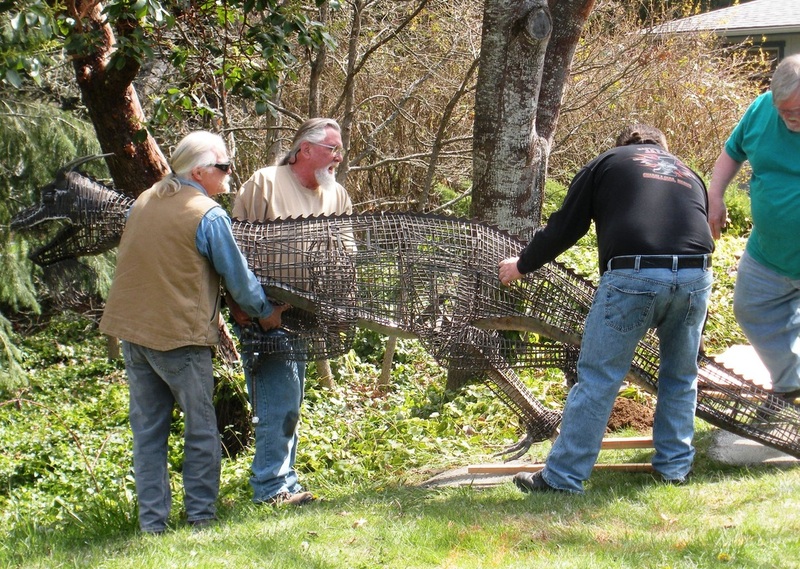 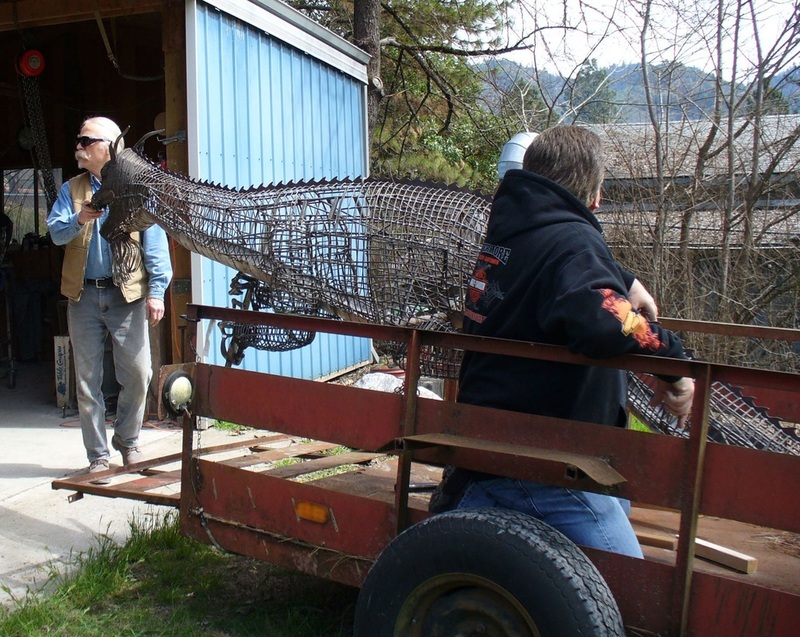 December 2001: Mark purchased a wire feed welder, which allowed him to move ahead with the construction of the dragon's skeleton.